This geological map shows the color coded distribution of different terrain types. 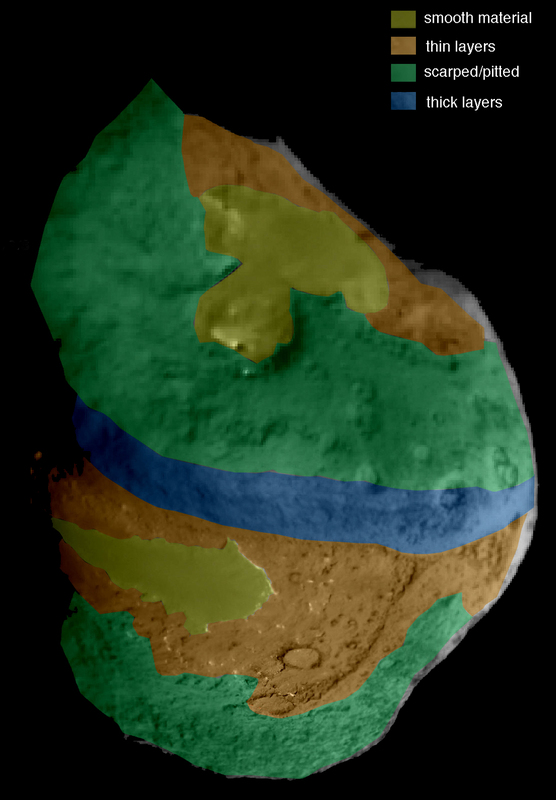 The green regions are very rough and pitted. The brown sections appear to be thin layers parallel to the surface. The olive green areas are smooth, with the upper one including the ice patches. Finally, the blue ribbon marks a ridge of exposed layers.